I have been tempted to take one of the packs of “hot chocolate” and mix it with my tea. (I do not touch coffee) Have not been brave enough yet. I’ve had (at some eatery in O’hare airport) and made myself Chocolate Chai. Last year I had some stones and the Urologist said no brewed tea, and no chocolate, or I’d make a spot but I have no chocolate to do so. I’m not sure I’m brave enough to do that either. That’s how I make Morning Mocha, while camping in cool weather. Packet of chocolate mix, cup of coffee, couple oz of milk, coffee to top off. “boing” (sustained boost) It’s tasty and keeps me moving for much of the morning. 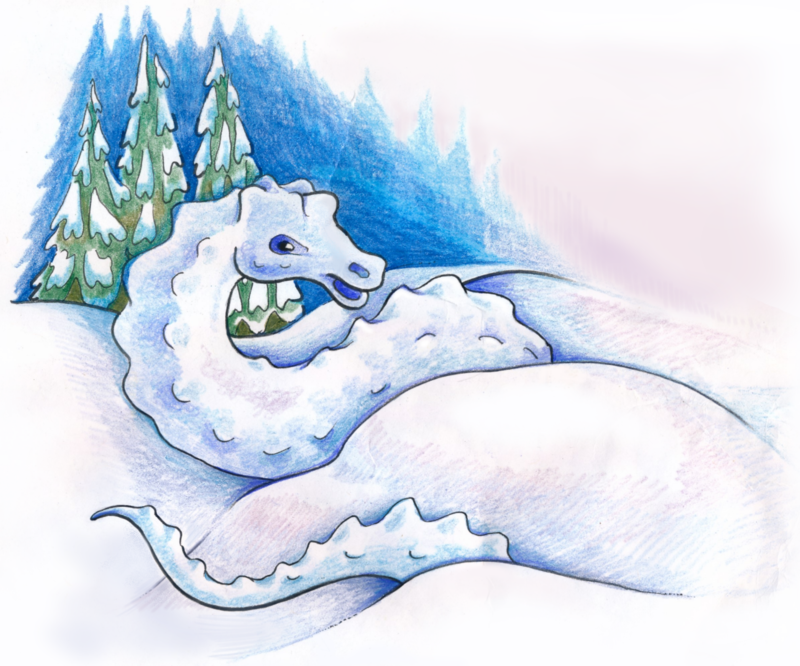 Would snow dragons eat: snowmen? snow bunnies? Eskimo Thighs? Yeti Helper! Well, maybe I’d better lay off the Wassail on a weeknight. Now I’ve got “Wassail, wassail all over the town the bowl it is white and the ale it is brown” stuck in my head!